Research from the National School Public Relations Association (NSPRA) indicates that there is a positive correlation between the involvement of family and community in schools and the improved academic achievement of students, including higher grade-point averages, better scores on standardized tests, and higher attendance rates. And for families of all socioeconomic, racial/ethnic, and educational backgrounds—and for students of all ages—school communication is an essential part of their success. So if we can improve student success through better communication, let’s do it! While many schools hire full-time employees to manage their social media, websites, newsletters, and so on, this is simply not an option for some schools due to budgetary constraints. Communicating with the surrounding community should not be viewed as a financial burden but as an investment in building a strong school community. Fortunately, there are products available that can save schools some time and money by automating some of these tasks. Some questions are best answered in person, via email, or over the phone. But questions involving “where” or “which” can best be answered by providing an address on a school boundary map and viewing the result. However, many times school boundary maps are actually static PDFs on a district or school website. These maps are simply a snapshot in time, so they’re at risk of being outdated, difficult to read, and even imprecise. Plus, they’re not interactive, putting the burden on the user to search for locations. That’s why we recommend incorporating your school boundaries, bus stops, and other points of interest with a familiar and easy-to-use tool accessible to everyone in your school community. The LocateMySchool™ online school locator uses geographic information system (GIS) technology to create an interactive “smart map” that parents and school staff can use to answer some of these “where” or “which” questions. Using Google Maps as its base, LocateMySchool has a familiar user interface that is easy to use, precisely accurate, and frequently updated, making it an excellent option to improve communication using real-time information. 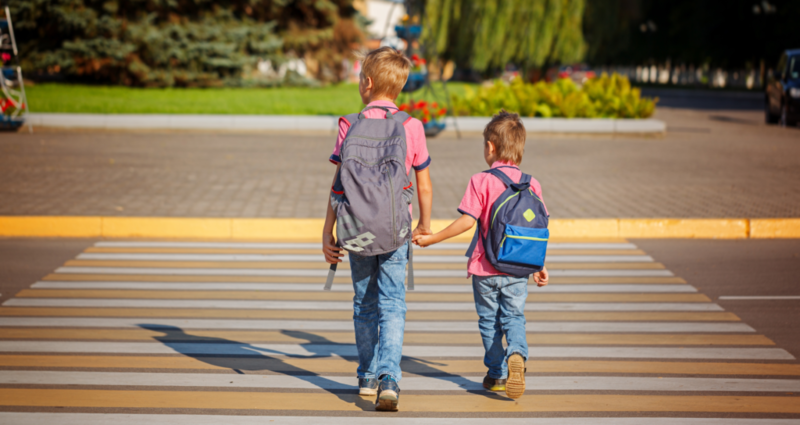 A school locator can do much more than simply provide parents with answers about locations; it can also provide directions and present graphic information using color-coded, layered, interactive maps that parents can easily understand. As we head into a new school year, consider using the power of GIS technology to improve communication between families, communities, and schools.